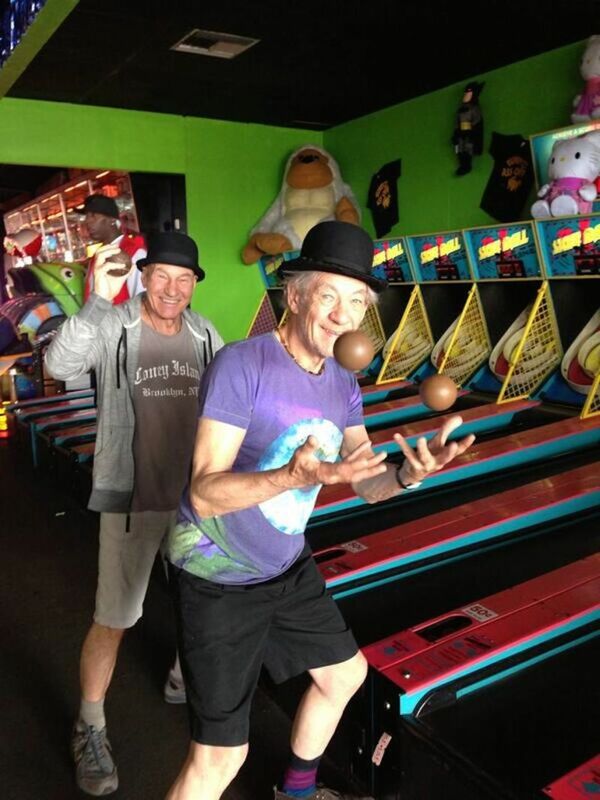 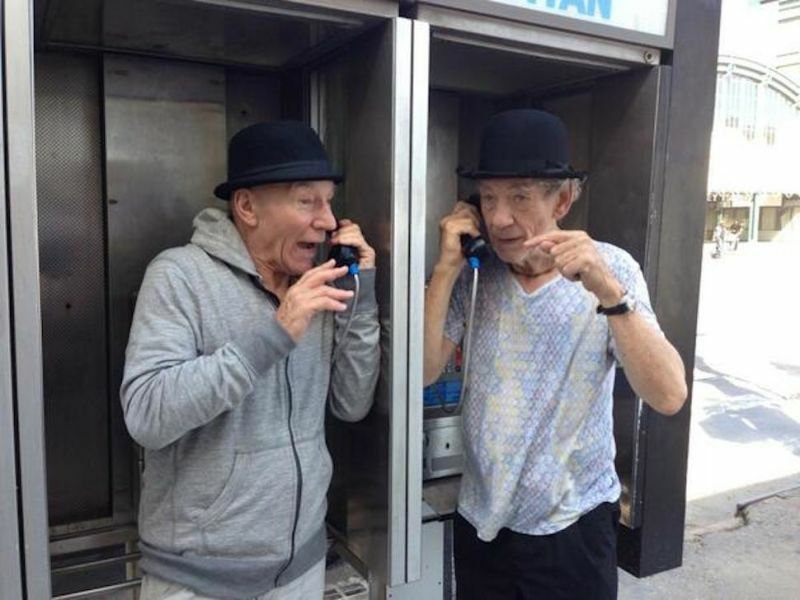 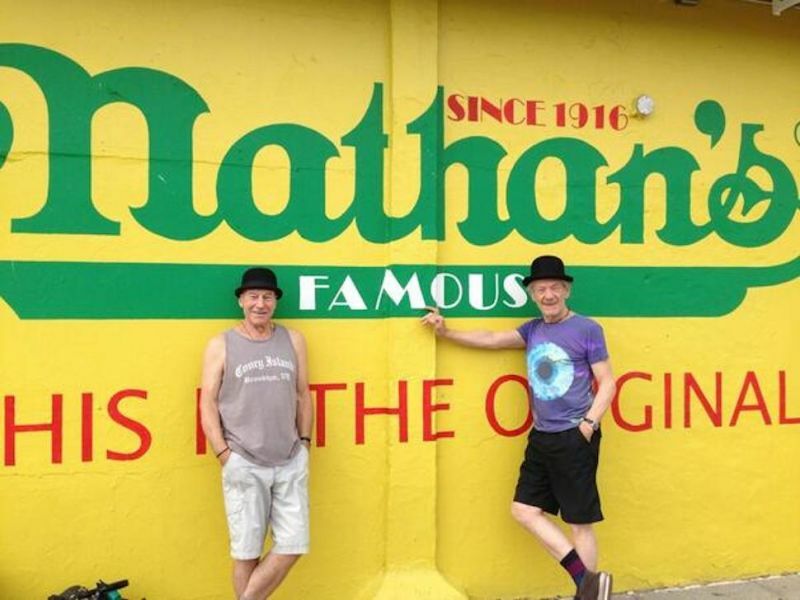 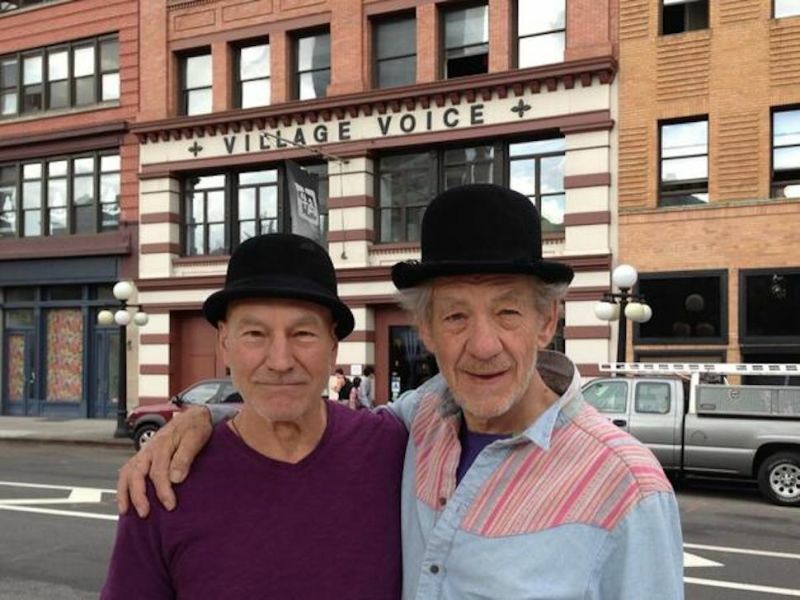 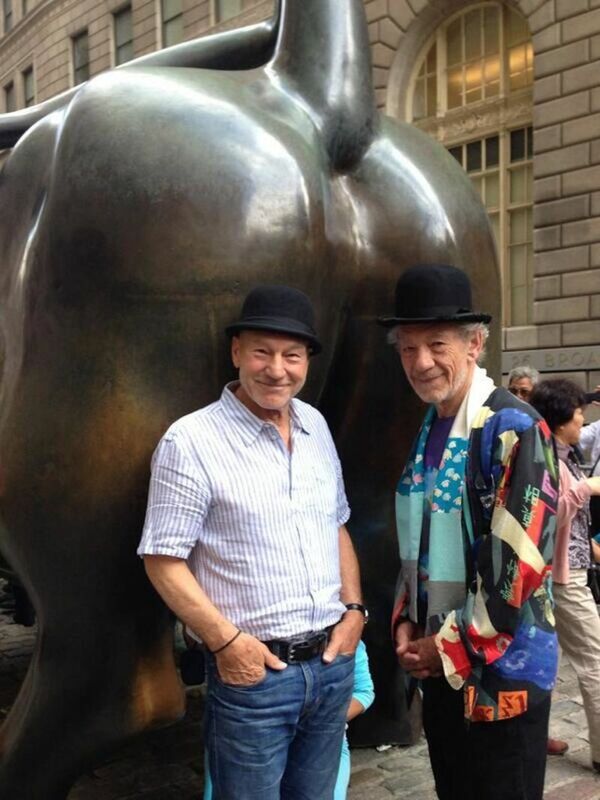 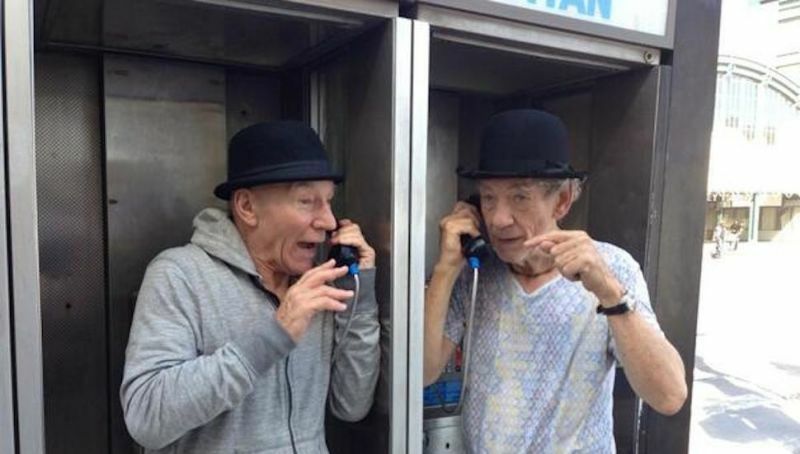 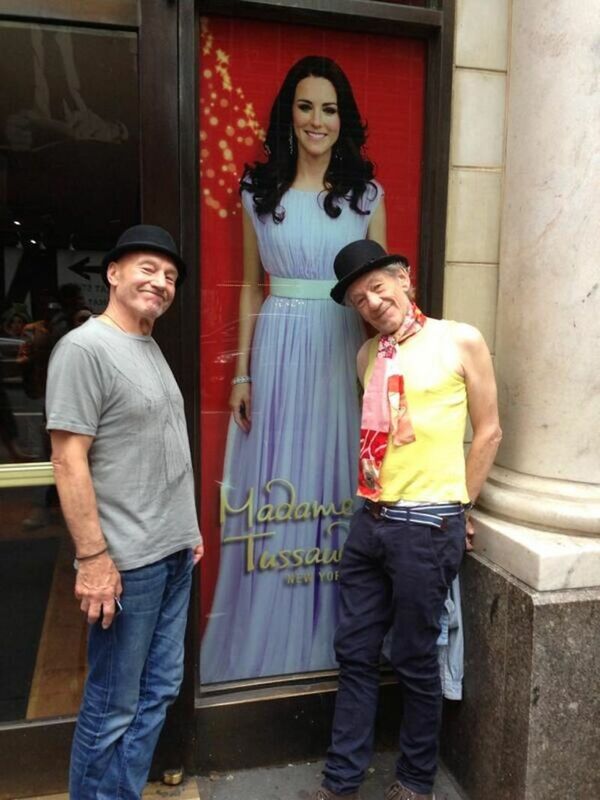 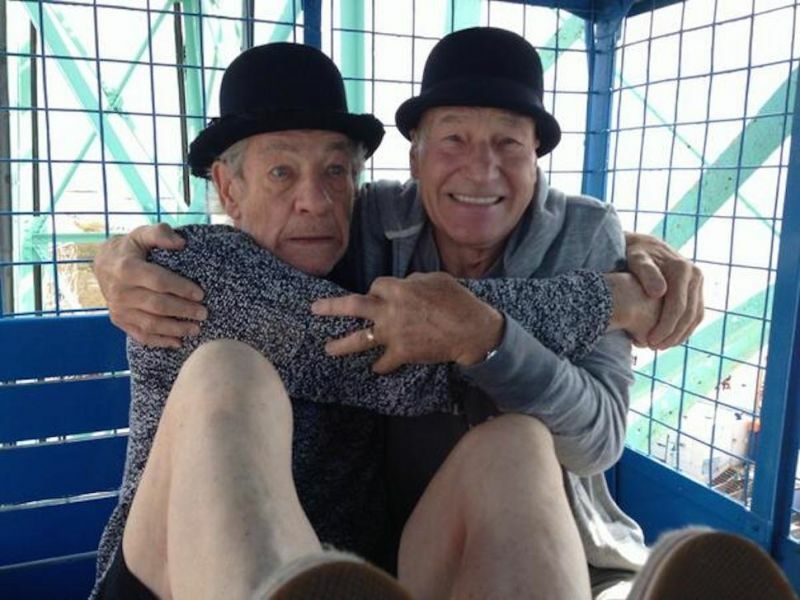 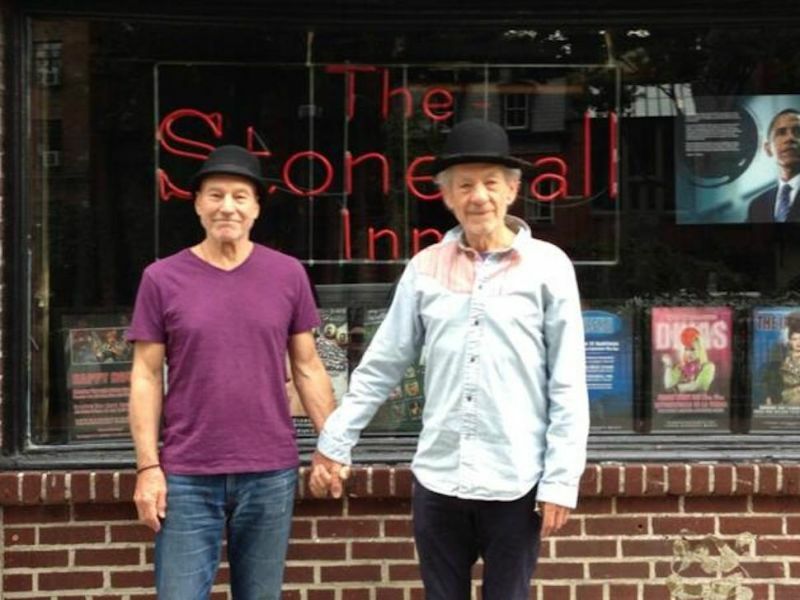 To commemorate their Broadway run and say goodbye to the East Coast, Sir Ian McKellen and Sir Patrick Stewart released a delightful series of New York City tourist photos. 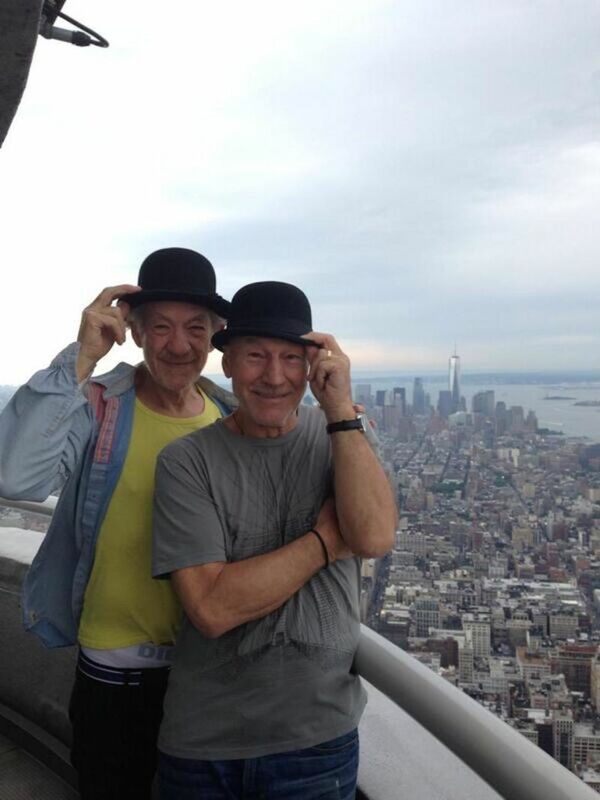 The duo just ended a critically acclaimed run in No Man's Land and Waiting For Godot, which closed this weekend. 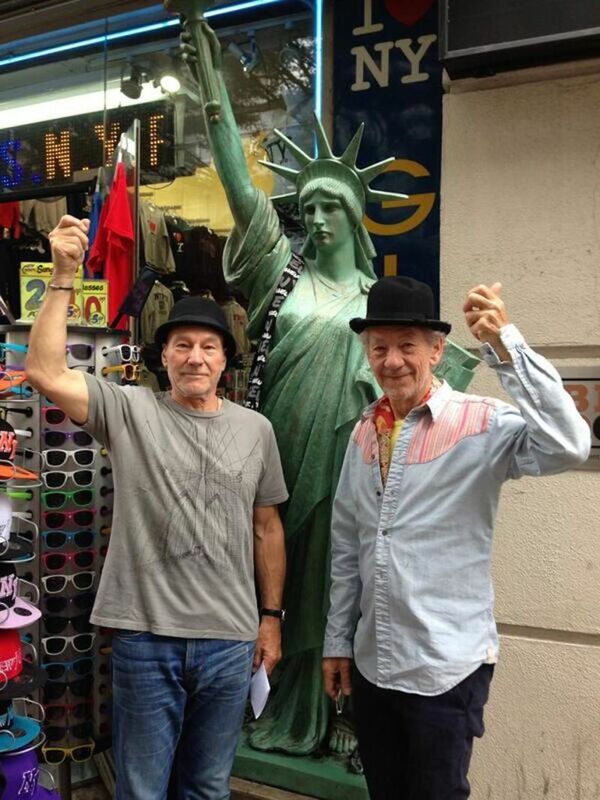 To count down the final performances, Stewart tweeted out a series of the pair mugging in front of city tourist spots. 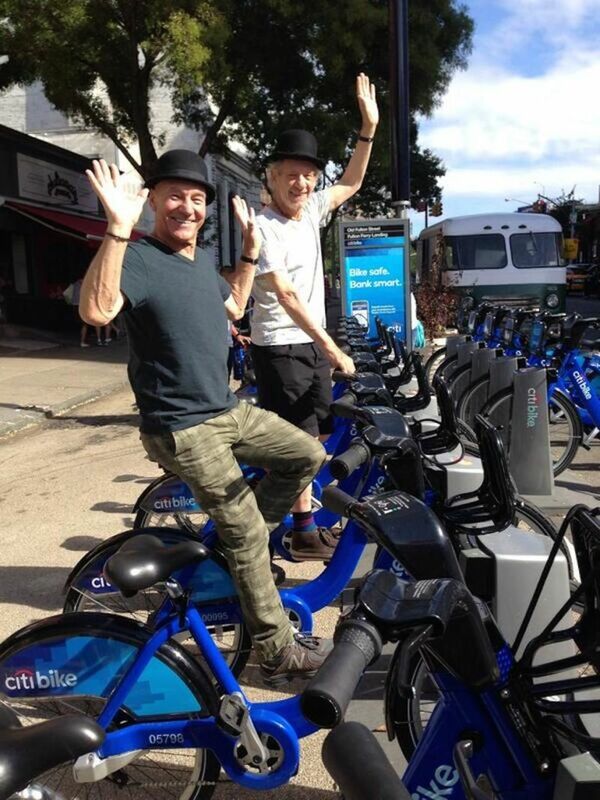 Someone please give these men a travel show.